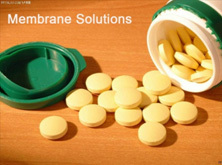 Membrane Solutions is the leading global provider of filtration, purification and separation products and technologies to the diverse and rapidly expanding medicine and pharmacology market. As the world's population growth and people's life quality requirements must satisfy the unceasing enhancement, human health and environmental protection for food, biological medicine development is necessary and is irreplaceable. Pharmacology is the study of how chemical substances interact with living systems. If substances have medicinal properties, they are considered pharmaceuticals. The field encompasses drug composition and properties, interactions, toxicology, therapy, and medical applications. 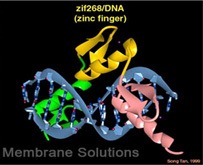 Membrane Solutions products and technologies are used from the earliest stages of discovery and development of new drugs, through production and delivery of therapies for the prevention, diagnosis and treatment of disease. Our biopharmaceutical products are supported by extensive protocols and technical reports, an industry-leading scientific and technical staff, and worldwide offices and distributors for easy ordering. From basic drug research to manufacturing to quality control tests, Membrane Solutions products are employed by the pharmaceutical industry to increase productivity.